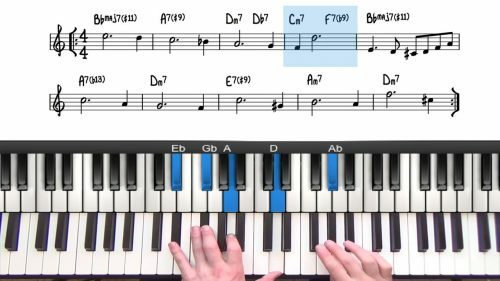 In part 3 of this tutorial on Michel Legrand’s "What Are You Doing The Rest Of Your Life" we will explore some alternative ways that we can play through the A section. The tune follows and A-A-B-A form and so it’s nice to enhance the chords and melody for the final time through these changes. We’ll start by doubling the melody to create more impact and we will utilize the higher and lower registers of the piano to create fuller arrangement. We will finish by analysing some transcribed material from the Bill Evans recording of this tune.